Sophia Caramanoff is the owner of the popular Les Belles Affaires. She is a certified event organizer and consultant based in Irvine. Her company is one of the top rated planning companies in the state. Les Belles Affaires focuses on planning vibrant wedding ceremonies and establishing meaningful relationships with clients. With Sophia Caramanoff as your coordinator, you will have nothing to worry about. She is always prepared to take care of everything in your wedding day checklist. The wedding day is often viewed as the most important occasions a couple can experience in their relationship, these Irvine wedding planners cherish the once-in-a-lifetime responsibility that comes with this special day. For over 6 years, they have been planning colorful celebrations across Irvine, working closely with prospective customers to orchestrate their celebration to the finest detail while staying on budget, ultimately portraying the personal style of the couple. 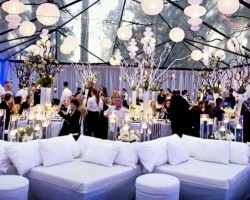 Natalie is one of the leading wedding planners in Irvine, CA. Having infused lots of weddings with her distinguished taste and elegance, she has experienced almost every imaginable situation and challenge relating to wedding day planning and management. Natalie is best known for her hospitality and creative designs, combining her excellent ideas with an organized approach to event planning. She makes sure that she brings your event to life, and you achieve your objectives. Whether you are planning to hold a sophisticated celebration, fancy reception party or destination wedding, the celebrity wedding planners at Intertwined Events will ensure that you have the most memorable event ever. You can trust Intertwined Events to provide you with well-trained staff, supportive coordinators and outstanding customer service. 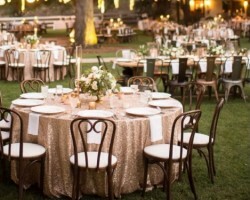 Intertwined Events is one of the best local planners you can find in Irvine. Most people dream of a fantastic wedding day from childhood. Expert wedding planner, Ciao Bella is focused on bringing your dreams to life while relieving you of the stress involved in planning a colorful ceremony. With years of experience, they are well placed to suggest the best vendors and locations in California. Ciao Bella planners and consultants will ensure that each wedding they are involved in is an embodiment of romance and perfection.